Cook rice in 1 3/4 cups water for 10 minutes, or until done. 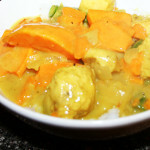 Serve the curry over rice. Mmm. My mother-in-law made this for us one time and I kept going back for just a little bit more. 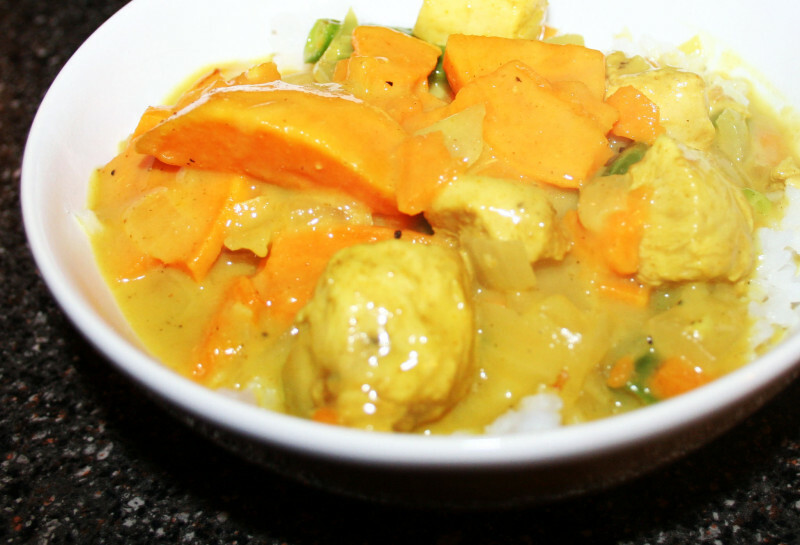 It's a great dairy-free creamy curry recipe.